Light, delicious and very healthy salad. Perfect on its own or as a side dish with chicken and fish. This healthy and colorful Beet Salad with Chicken is great for lunch. Skip the chicken for a light Vegetarian Salad or a tasty side dish. Enjoy this authentic, full of flavor Russian recipe! 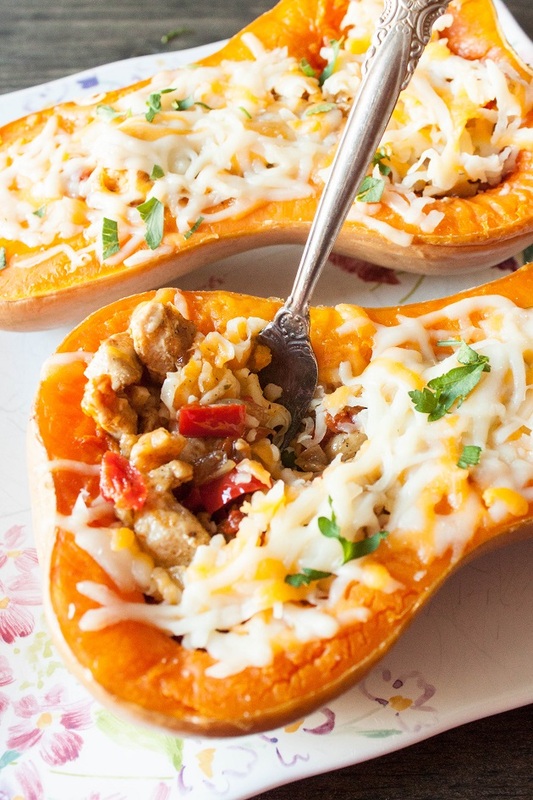 With pumpkin and squash season still in bloom, try this tasty and healthy butternut squash boats filled with grilled chicken, vegetables and cheese.And if you crave something hot, add jalapeno and pepper jack cheese to spice things up. These tender and tasty Pumpkin Pancakes are easy to make and use only a handful of basic ingredients. Great with a fresh salad or as a side dish with meat. Delicious when served warm with a sour cream or tzatziki. 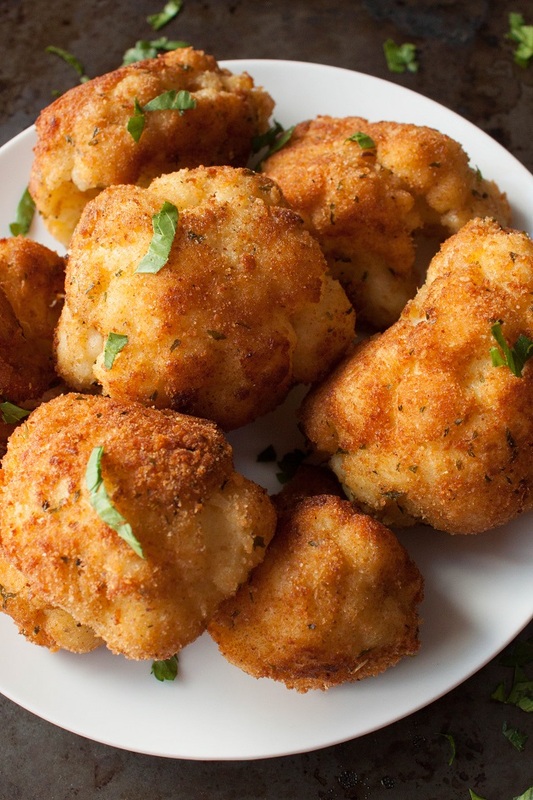 Lightly cooked cauliflower, dipped in egg and covered with Bread crumbs and Italian Herbs, fried to perfection until crispy and beautifully golden brown! 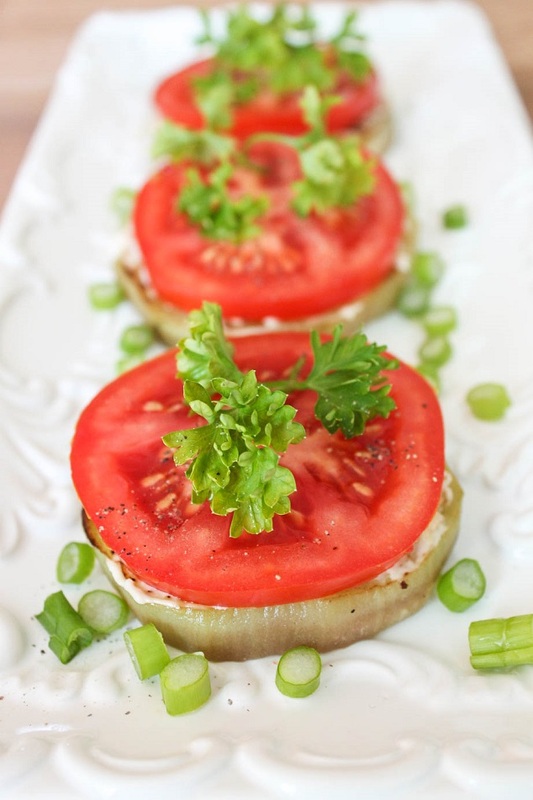 Delicious and easy appetizer or a side dish! It can't get any more Russian and traditional than Salad Olivier. This is a must have for any major holiday like New Year's, International Women's Day on March 8th or a Birthday party. 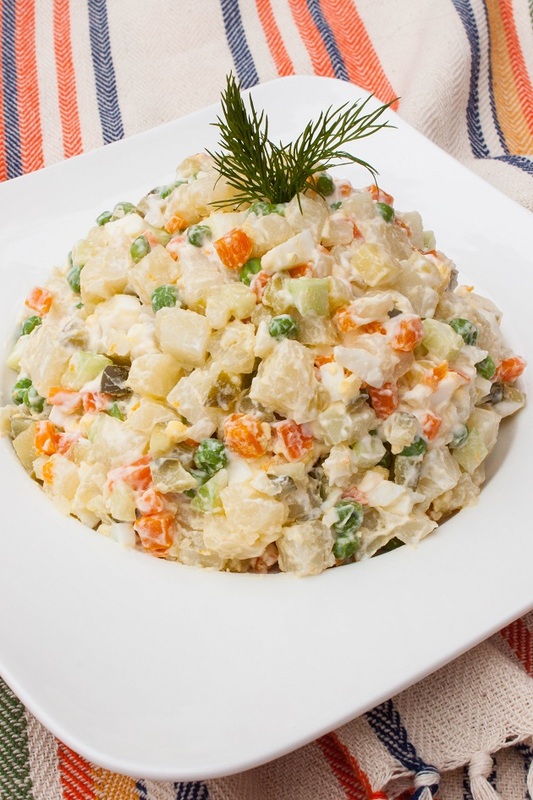 Enjoy this healthy and delicious recipe for Russian Potato Salad! 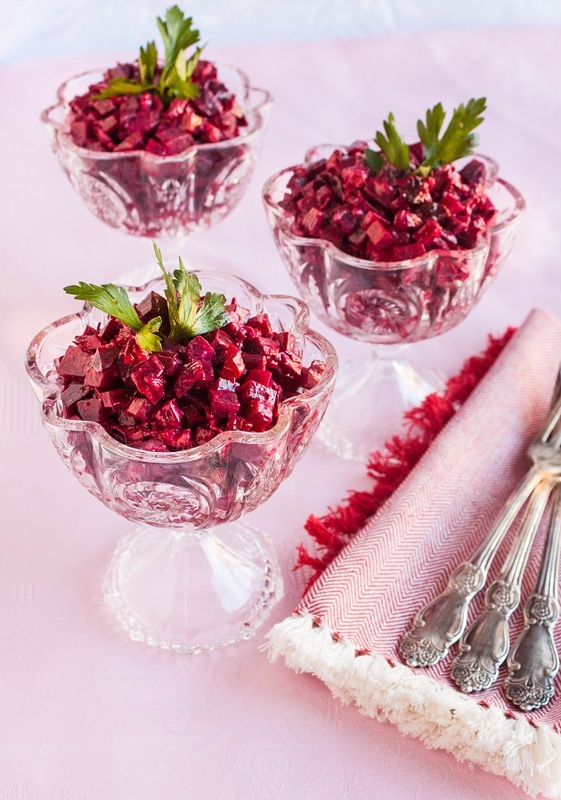 This delicate beet salad with garlic is creamy and piquant. 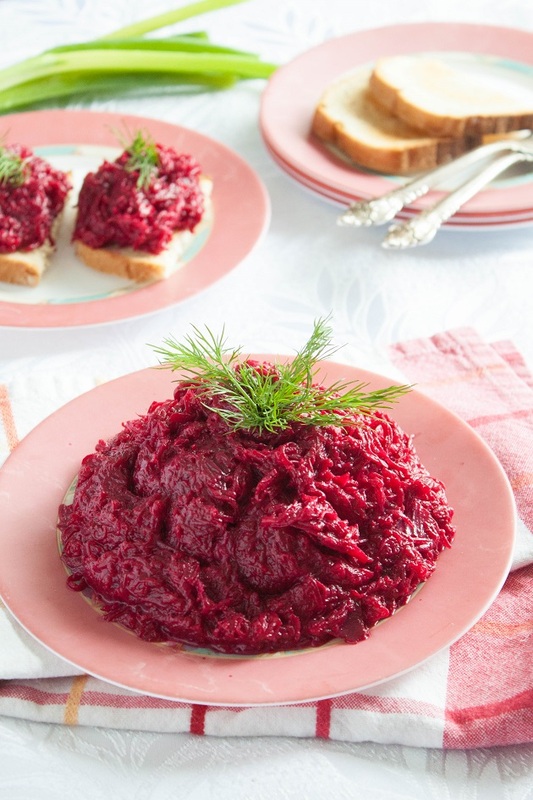 Add Prunes to this authentic Russian Beet Salad to enhance its flavor and texture. Great as an appetizer or a side dish. This surprisingly delicious salad tastes best when served warm. 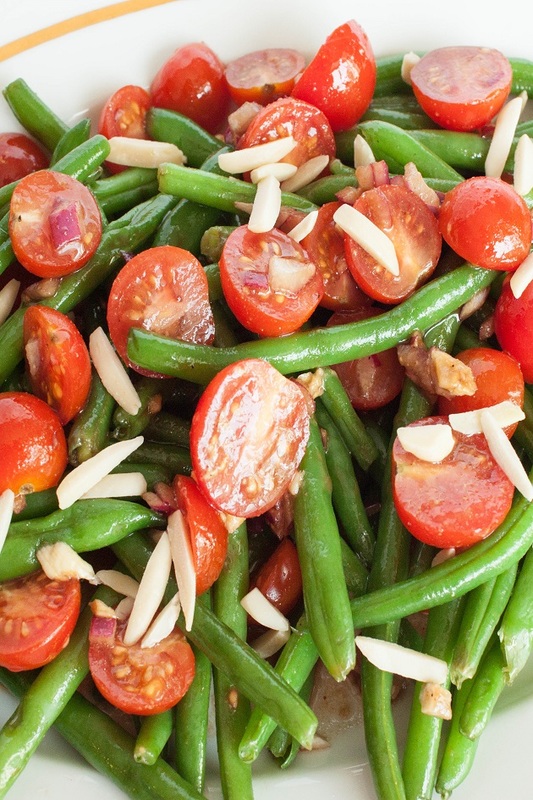 The green freshly cooked, crisp beans and red firm juicy grape tomatoes tossed with a little sweet, a little spicy and a very yummy marinade. 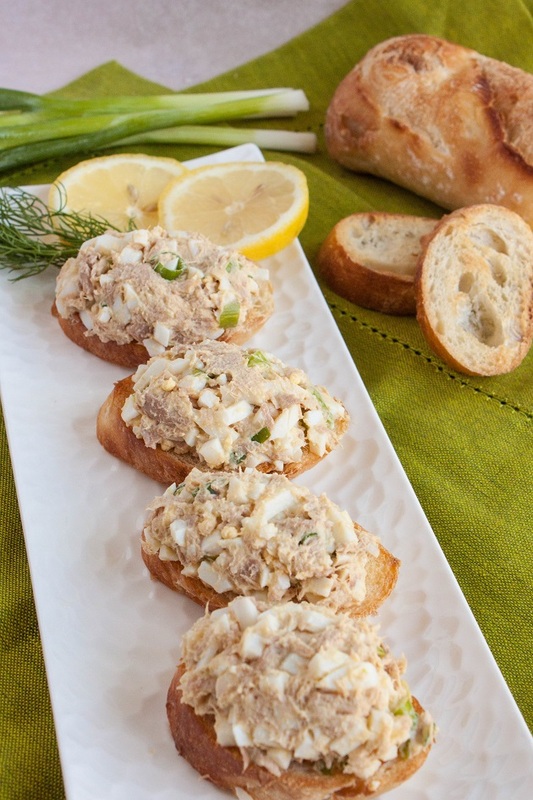 Tasty and simple Tuna Salad - comforting and easy meal or a delicious appetizer? Serve it on the toast or as a wrap, with the Tomato or Garden Salad on the side for the comforting and tasty meal any time of the day. 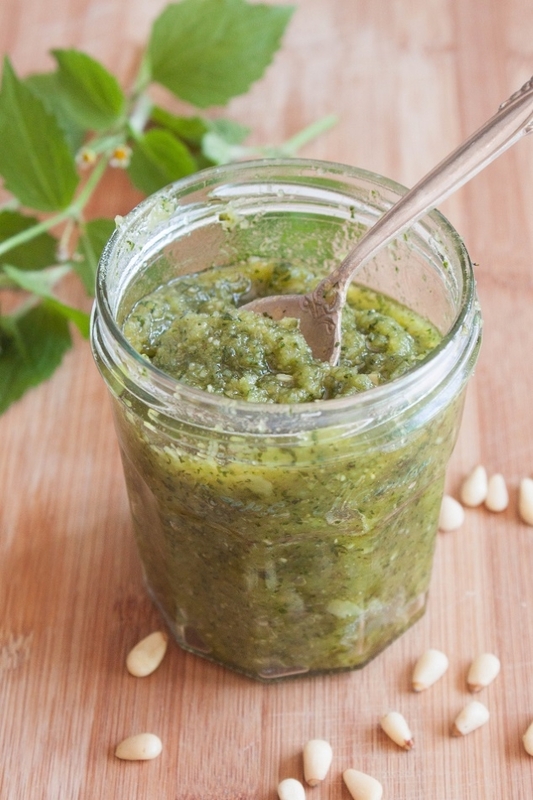 Fresh Basil Pesto - so delicious and versatile! Great as a sauce for pasta, chicken, fish, filling for meat and poultry, and as a spread on a toasted warm baguette. And not to forget how flavorful the pesto is: basil, pine nuts, Parmesan, garlic and olive oil - a winning team, a perfect combination. 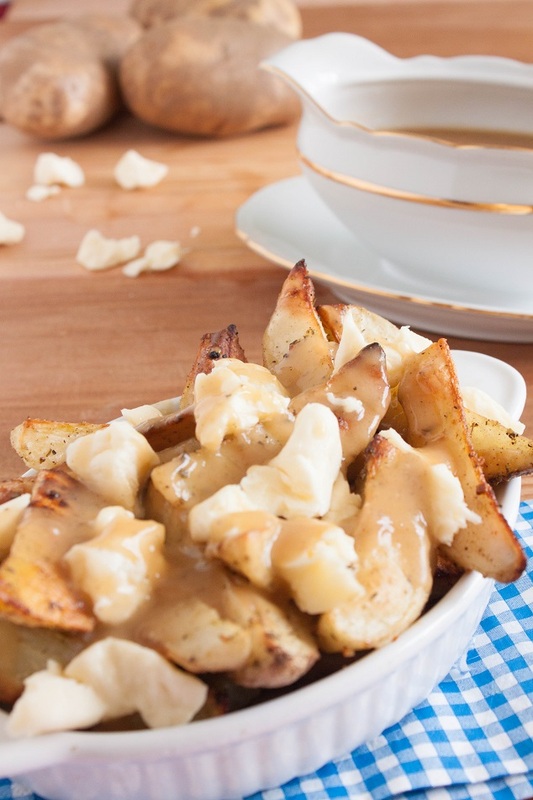 Inspired by Poutine festival, we made a healthier homemade version and very happy with the results: the baked potato wedges were crispy outside and fluffy inside, flavorful, garnished with lots of spices; the gravy came out delicious, and the cheese - well, I have a soft spot for cheese curds. Colorful Bell peppers and ripe tomatoes filled with meat and rice, cooked in fresh tomato sauce make a delicious one-pot dish. 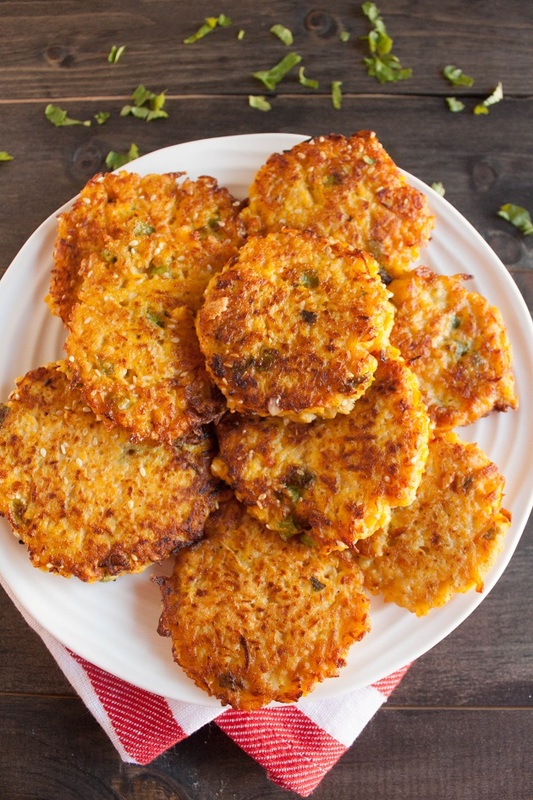 It easily made with simple ingredients and taste great after reheating. Enjoy it for lunch or dinner, with fresh bread dipped into sauce and garnished with sour cream for authentic Russian style. I love mashed potatoes and they are my all-time favorite side dish. There is nothing more comforting than creamy and buttery mashed potatoes, and they are wonderful with everything: chicken, meat, or fish. 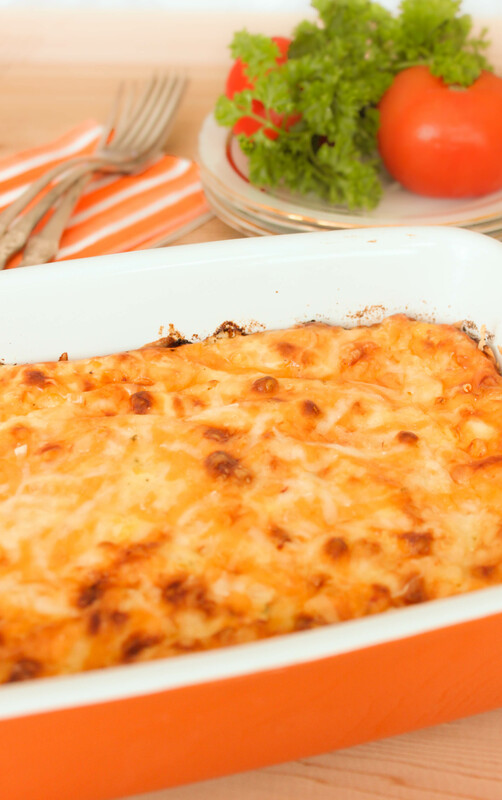 This delicious side dish is loaded with taste and texture. 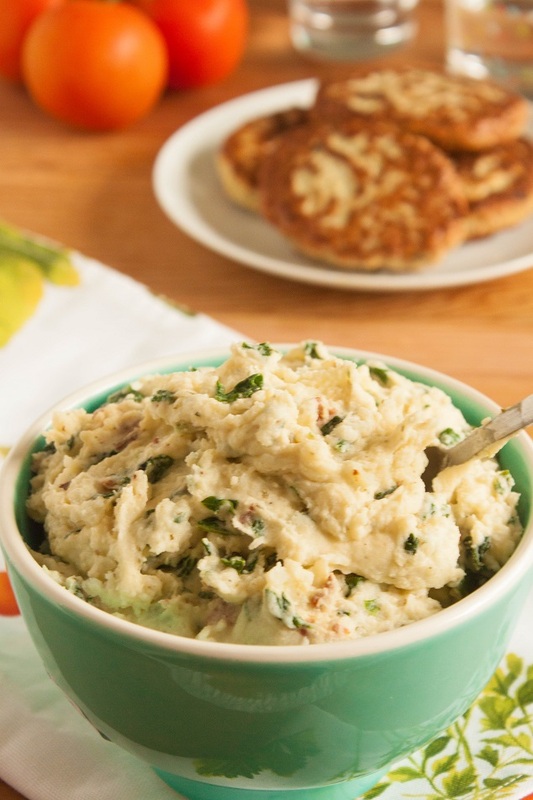 Flavorful mashed potatoes enhanced with Herb & Garlic Cream Cheese, garlic, bacon and spinach are irresistible all year around and will add extra flavor to any family dinner or Thanksgiving celebration. This Mexican style salad is a pure goodness of flavor and crunch! 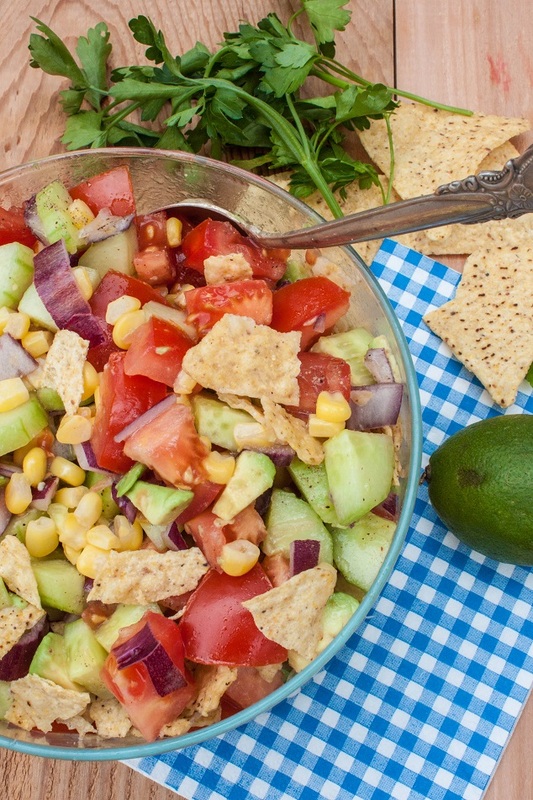 Amazing with BBQ or grilled chicken, this healthy and delicious salad is loaded with flavor and texture - juicy tomatoes, creamy avocado, refreshing cucumbers, flavorful corn, and spicy onions, topped with crunchy tortilla chips! 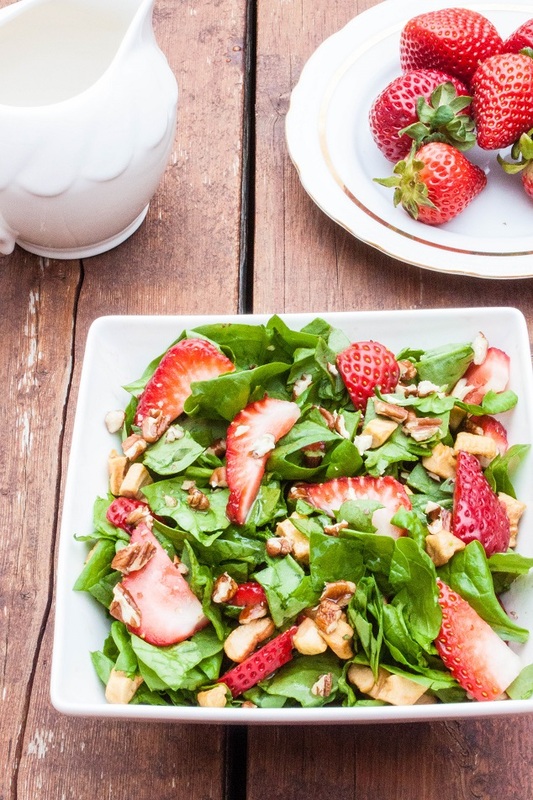 This Strawberry Spinach Salad with Dried Apples and Pecans looks and smells just like summer! The healthy spinach complements flavorful strawberries and sweet, a bit chewy dried apples and crunchy pecans make this delicious salad perfect. Nothing screams summer louder than a Fruit Salad! 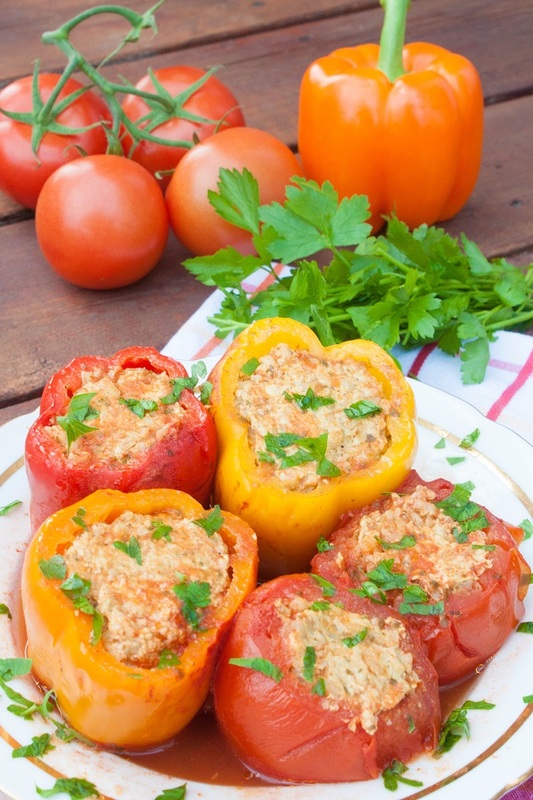 Colorful, delicious, healthy, and so easy to make! Want to surprise your family and impress your guests? 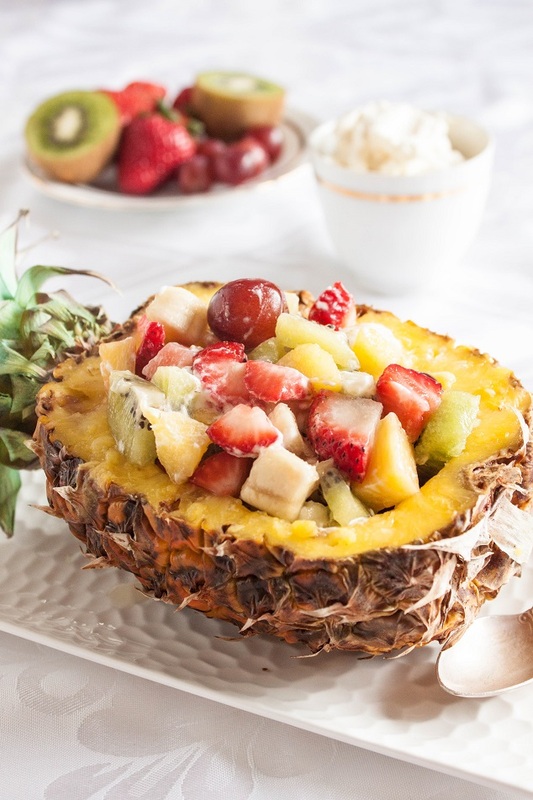 Make this tasty Fruit Salad in a Pineapple Boat! 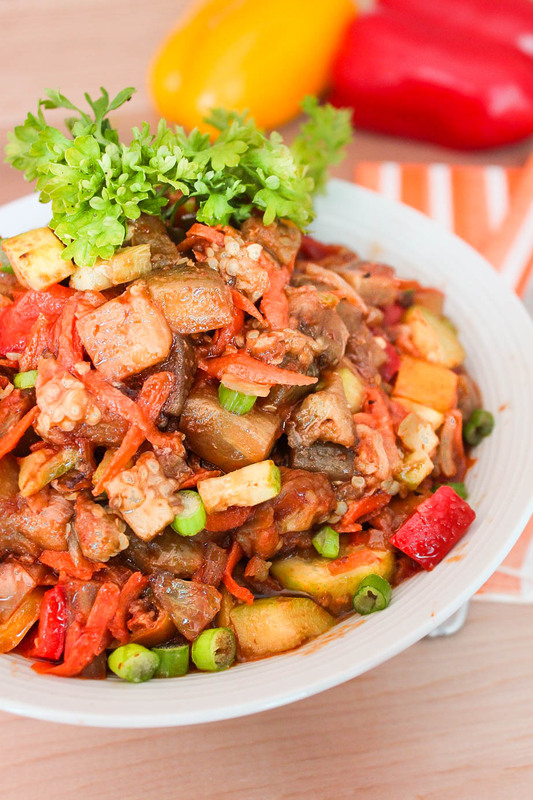 This healthy and colorful salad is very easy to prepare. 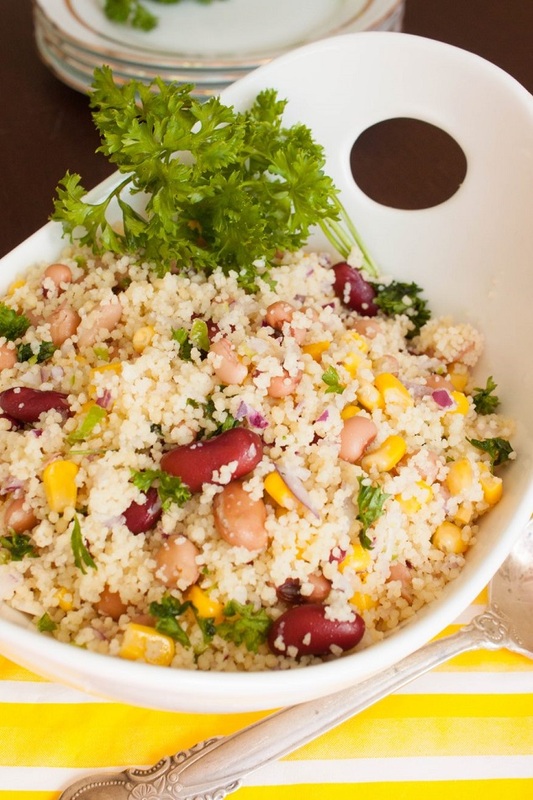 Delicious couscous mixed with the variety of vegetables: corn, beans, red onion, parsley and Jalapeño creates a tasty fulfilling vegetarian dish or a side dish for meat or fish. Avocado such a beautiful, delicious and a very healthy vegetable. 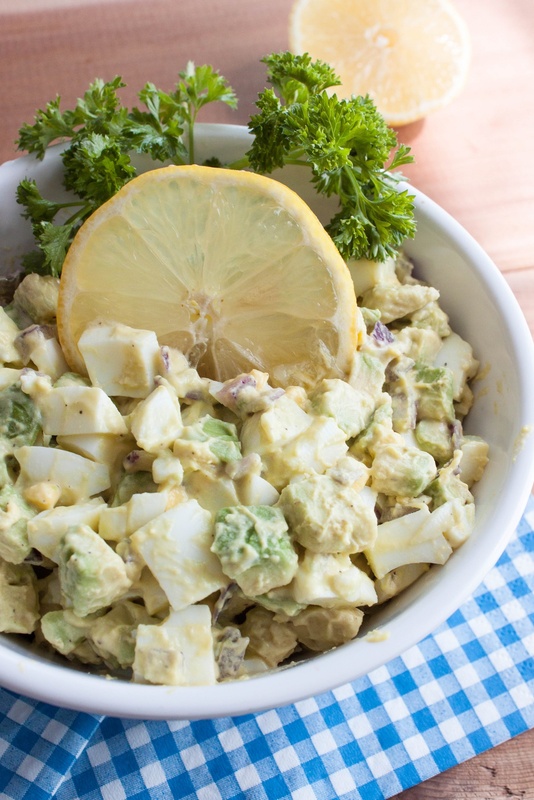 Hardboiled eggs, creamy avocados, crunchy red onion, and a splash of lemon juice - toss it with a bit of light mayo and this delicious salad is ready in under 15 minutes. 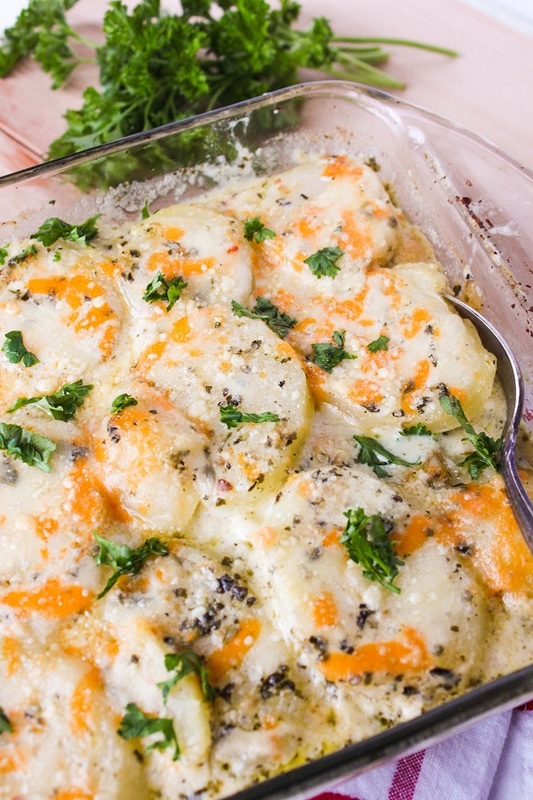 These delicious baked pesto potatoes with cream and cheese make an amazing side dish! They are soft and flavourful and have this amazing melt-in-your-mouth feeling...and the aroma from the cream and pesto sauce is unbelievable! Eggplant with tomato and garlic is easy and fast to make, can be prepared in advance, piquant, and will decorate any dinner table. All in all - great appetizer! Love these Sauté vegetables! So easy to make and so delicious! It's great with eggs, as a side dish with meat or pasta, as an appetizer, or even as a spread on bread. You can make it as spicy as you like and eat it warm or cold any time of the day! 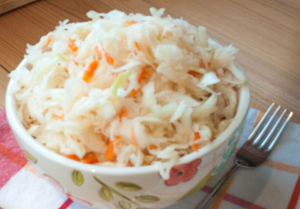 I love Sauerkraut! It's delicious, crunchy, tasty and very versatile. You can eat by itself, or as a side dish with meat or eggs, and even add it to a salad. You will be glad to know that it's also very healthy. 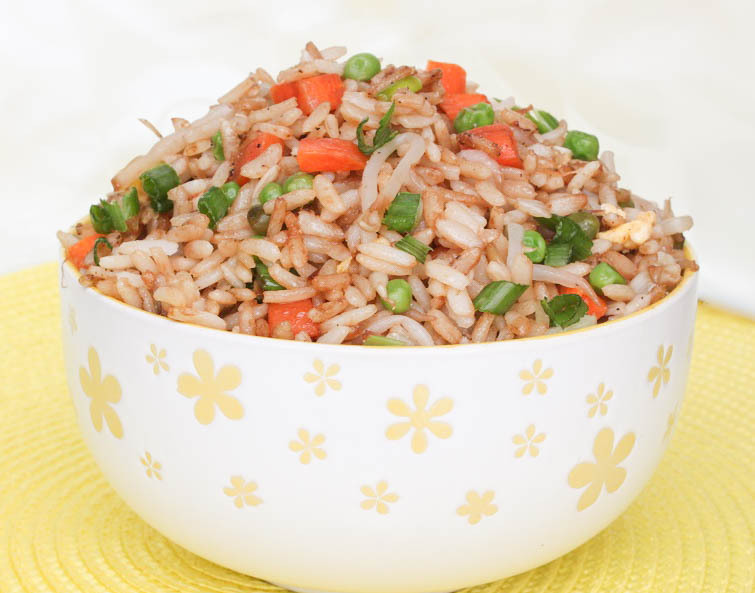 This fried brown rice with vegetables is not only tasty, but also healthy and colorful! Delicious side dish for meat, poultry and especially fish. 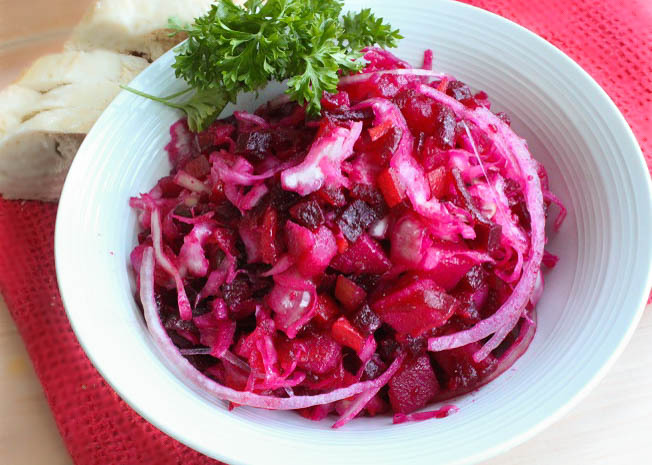 Vinegrette is a Russian traditional salad made with beets, pickles, and Sauerkraut. it is so different, colorful, tasty, and very flavorful! It's a healthy super food salad and very filling and nutritious! 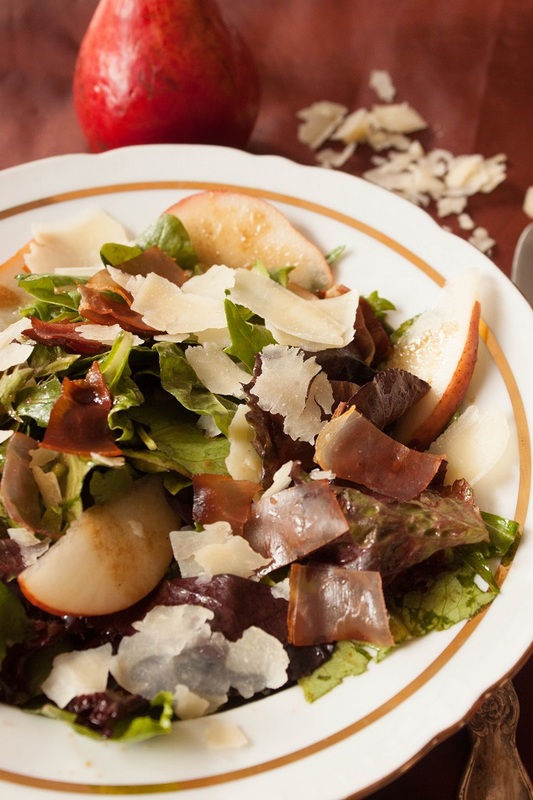 Not only this salad is gorgeous, but it is also delicious! This delicious and versatile Crustless Corn quiche is easy and quick to make, healthy, and very tasty! Amazing for brunch, lunch or dinner with a salad, sautéed vegetables or meat on the side. This delicious Salad is easy to prepare, it's rich in colors and flavors, and very pretty. 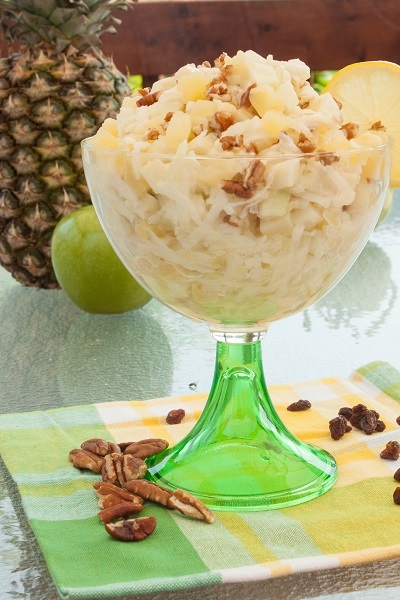 The combination of refreshing apple, juicy pineapple, and crunchy kohlrabi, topped with sweet raisins and pecans is very summery and have lots of texture. 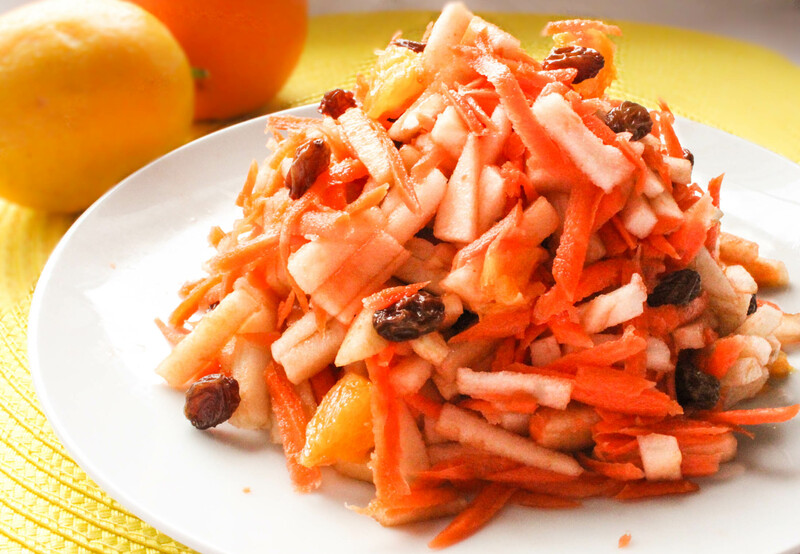 This light and fruity salad can be served as an appetizer or a side dish for poultry.